Get a behind-the-scenes look at the making of the series. 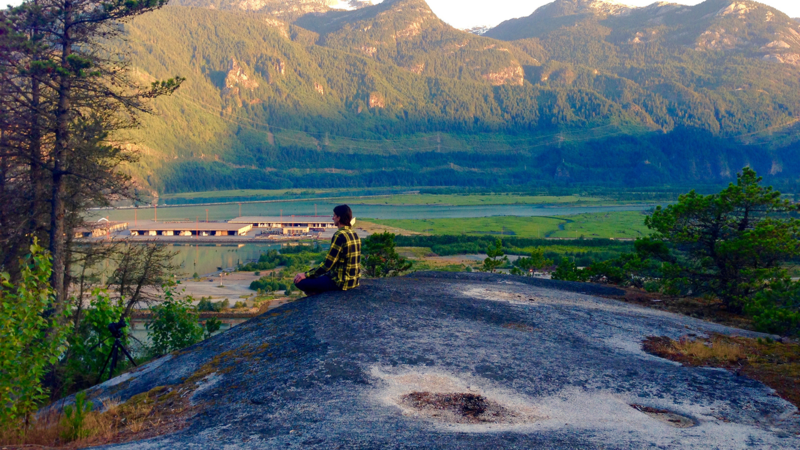 Dean Potter meditates as the sun rises over Squamish National Park. Even though free climber Dean Potter was involved in such dangerous activities, his death was still shocking to the crew. The newspapers described him as a daredevil, but the first thing this producer thought of was the guy who had treated everyone to double scoop ice cream. Filming is a pretty hectic process, but occasionally you get an unexpected moment of reflection – sitting and watching the sunrise over Canada’s Squamish National Park at 5 am was one of those times. 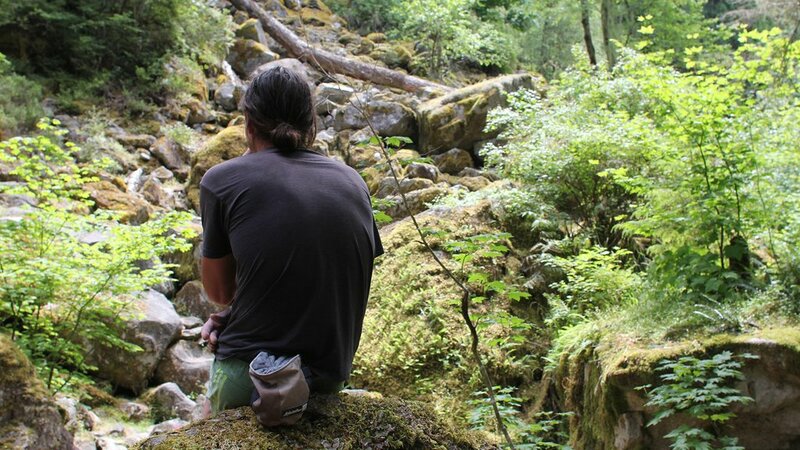 We were there with legendary climber and wing suit pioneer Dean Potter. An hour earlier we had set off with Dean, hiking up through scrubland to reach his favorite spot in the mountains. When we found it, the place was breathtaking. Dean sat meditating for more than an hour while our time-lapse cameras clicked away, capturing the sunrise behind him. Afterward, we set up our equipment on the cliff edge, and I perched beside the camera to talk with Dean. Dean regularly climbed 1000-foot-plus shear rock faces without a rope or any safety equipment. Just thinking about it makes my palms sweat - but over time Dean had learned to completely disengage his conscious mind. He felt no fear as he climbed, entering into something neuroscientists call a flow state. ‘Flow’ is something we all experience fleeting glimpses of … feeling lost in the moment, becoming wrapped up in something you love and loosing track of time … but Dean had mastered it. He could climb for 10 or 12 hours straight without ever falling out of this intense mental state. Dean told me his state of mind while climbing was what drove him to take these risks. It was a pure sensation of being in the moment – an existence where the anxieties and troubles of normal life just melt away. “I stop thinking about what I’m doing and I just do” he told me. After the interview I wanted to film dean climbing. For practicalities sake there was a spot by the road that looked fine, but Dean wasn’t happy. He couldn’t concentrate with the cars. It felt wrong. Dean was getting angry. Just as it seemed he might call it a day Dean spotted a $20 bill on the floor. For Dean it was a sign. His mood lighted. 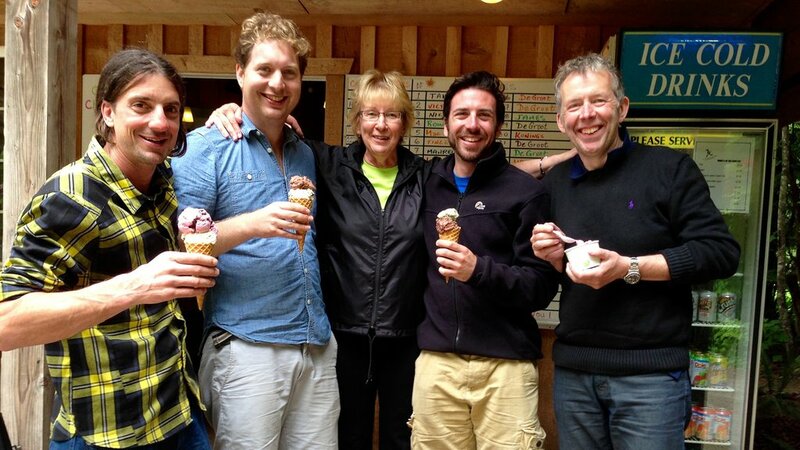 We went to a local café, and Dean insisted on buying the whole crew ice creams (double scoop) with his find. In the process, he struck up conversation with the owner who told us about a secret little climbing spot nearby. When we got there it was perfect. Filming Dean climbing was a complete privilege. The way his body moved as he ascended was incredible to watch. Making documentaries you get used to saying goodbye a lot. But the end of this day was tinged with sadness – Dean was a really extraordinary person and getting to spend time with him in such a beautiful location was an unforgettable experience. Some months later, when the film was finally finished, I was sitting on the Tube in London and picked up a free paper. On page 3 there was a story about two wing suit jumpers who had died in Yosemite National Park. One of them was Dean. Even though he was involved in such dangerous activities it was still shocking. They described him as a daredevil, but the first thing I thought of was the guy who had treated everyone to double scoop ice cream. Assistant producer: Hardest job, or easiest job?